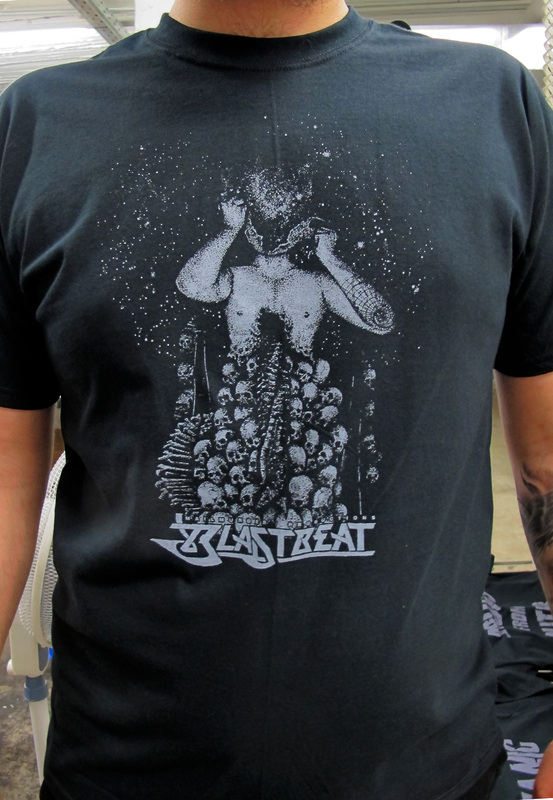 Blastbeat Mailmurder 11th anniversary t-shirt, new paypal store! | BLASTBEAT MAILMURDER --- Bomb the bass, blast the beat! Blastbeat Mailmurder 11th anniversary t-shirt, new paypal store! Our 11th anniversary t-shirt is now available! Sporting a stellar design by Viral Graphics, printed on Guildan heavy cotton shirts by Heartbomb Screenprints and available in: M, L, XL, Girlie M, Girlie L. It costs 10 € (excl.postage). For a one-click purchase please visit our new paypal store, otherwise combine it with other items from our distro. We also have an interesting combo offer for you: get the t-shirt plus one of our CD releases for just 12€! Our CD releases that are currently available: — STRAIGHTHATE “Indigenous” , FORGARDUR HELVITIS “Gerningavedur”, INTO THE GORE “Bureau Of Disgust” CD , STRAIGHTHATE “Grim Memories” MCD+ . Concerning our new paypal store, it no longer features drop-down menus in order to be integrated to this part of our site, so please chose carefully your region and indicate your t-shirt size in the comments of your paypal transaction. Due to an increase in rates from the local Post, some prices are a little bit higher, some others we managed to keep them unchanged. Please drop us an email (bodybag666 [at] gmail.com) if you want to order multiple items in order to save postage. Thank you. ~ by Panos Agoros on June 23, 2012.